India 26 November 2016: Aloe vera (Ghritkumari) is a plant that is known to grow in a hot and dry climate. To grow your aloe vera (Ghritkumari) plant well make sure it receives a lot of sunlight and warmth. Do not forget to water the plant, but make sure you don’t overwater it or it will cause it to rot. If the leaves of your aloe vera plant are turning yellow it’s a sign that that you are watering your plant too much. You don’t need fertilizers for the aloe vera plant to grow. Adding fertilizers to the soil of the aloe vera plant may even hamper its growth. How to select (Ghritkumari) Aloe vera? Many people grow (Ghritkumari) aloe vera plants in their gardens to harvest the aloe gel. If you are also looking to harvest the gel from the aloe vera plant, then it is best to use the outermost leaves of the aloe plant. The outermost leaves are more fleshier and contain more gel than the ones in the middle which are new leaves. To harvest the gel from the aloe vera leaves, make a clean cut with a sharp knife close to the base of the (Ghritkumari) aloe vera leaf. The sap of the aloe is something we need to get rid of as we can’t consume it because it contains laxative properties. To remove the sap from the leaves place the leaves upright for a while to get rid of the sap. 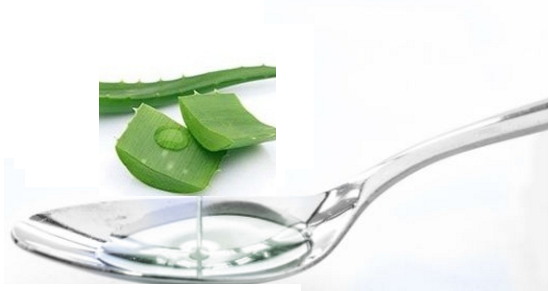 Once all the sap has drained out from the leaves, peel off the outermost green layer of the aloe vera leaf. Now you will be able to see the clear gel, which you can scoop out using a spoon. How to store (Ghritkumari) Aloe vera? (Ghritkumari) Aloe vera gel needs to be eaten as soon as you scoop it out from the leaf to reap all its benefits. If it’s for topical use for the skin and hair then you can store it in the refrigerator for a longer period of time. When storing aloe vera gel always use a sterilized container to keep the gel from getting spoiled. If you want to store the aloe gel for a longer time, then you need to add a few drops of vitamin E to it to increase its shelf life.